We can provide you with an end-to-end packaging solution to boost your productivity and maximize the effectiveness of your industry on the packaging side of your business. 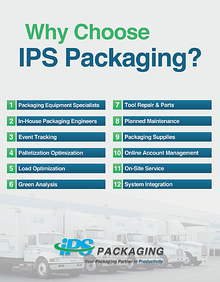 IPS can be your total packaging partner in productivity. Tell us a little about yourself in the form and then download the PDF to learn how IPS Packaging can help you.